How best to keep yourself organised than with a chalkboard, set yourself a task and once completed, erase and set the next one. This chalkboard is perfect, adds some humour to your routine with the added bonus that this little bit of Prosecco will help you to remember! 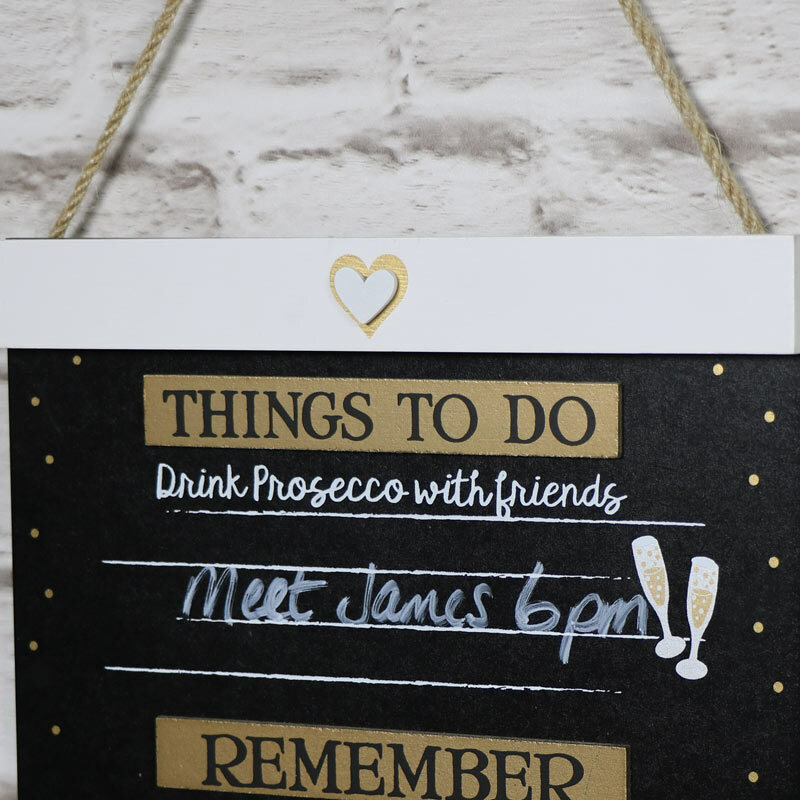 A delightful little wooden chalkboard, perfect for the Prosecco lover, labelled with Things to Do, Remeber & Bits to By, all with the added humour of Prosecco being 'the answer'. Ideal for hanging in the kitchen, bedroom or hallway or just anywhere you need to see those little reminders. Decorated with 4 raised hearts on the frame and gold polka dots and wine glasses on the blackboard itself. How best to keep yourself organised than with a chalkboard, set yourself a task and once completed, erase and set the next one. This chalkboard is perfect, adds some humour to your routine with the added bonus that this little bit of Prosecco will help you to remember! 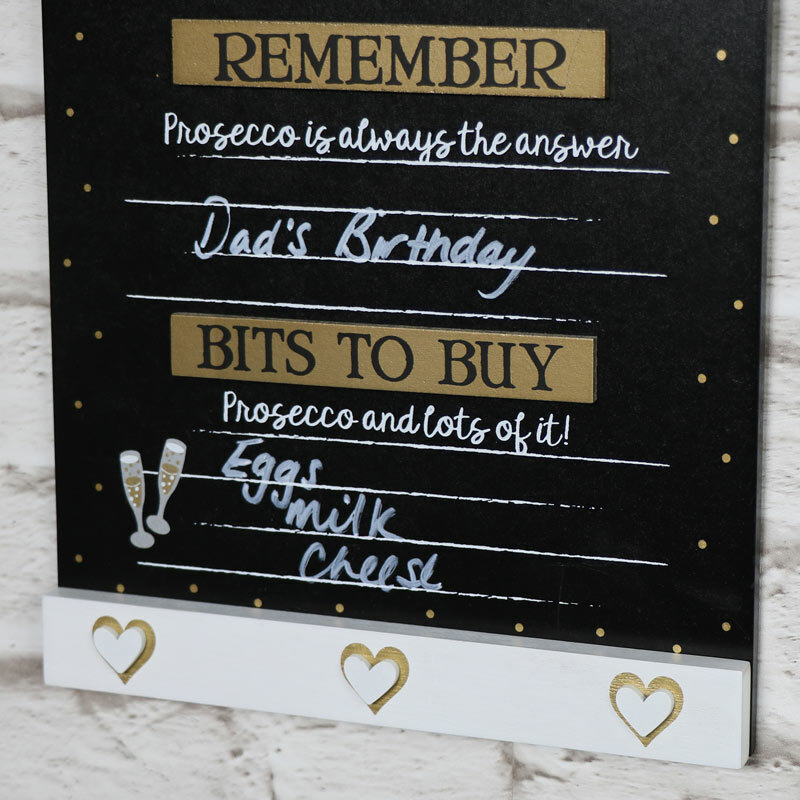 A delightful little wooden chalkboard, perfect for the Prosecco lover, labelled with Things to Do, Remeber & Bits to By, all with the added humour of Prosecco being 'the answer'. Ideal for hanging in the kitchen, bedroom or hallway or just anywhere you need to see those little reminders. Decorated with 4 raised hearts on the frame and gold polka dots and wine glasses on the blackboard itself. Wall hung from a length of string and made from wood with white painted finish on the top and bottom. (Please be aware that chalk pens are unsuitable for use with this board and may stain). 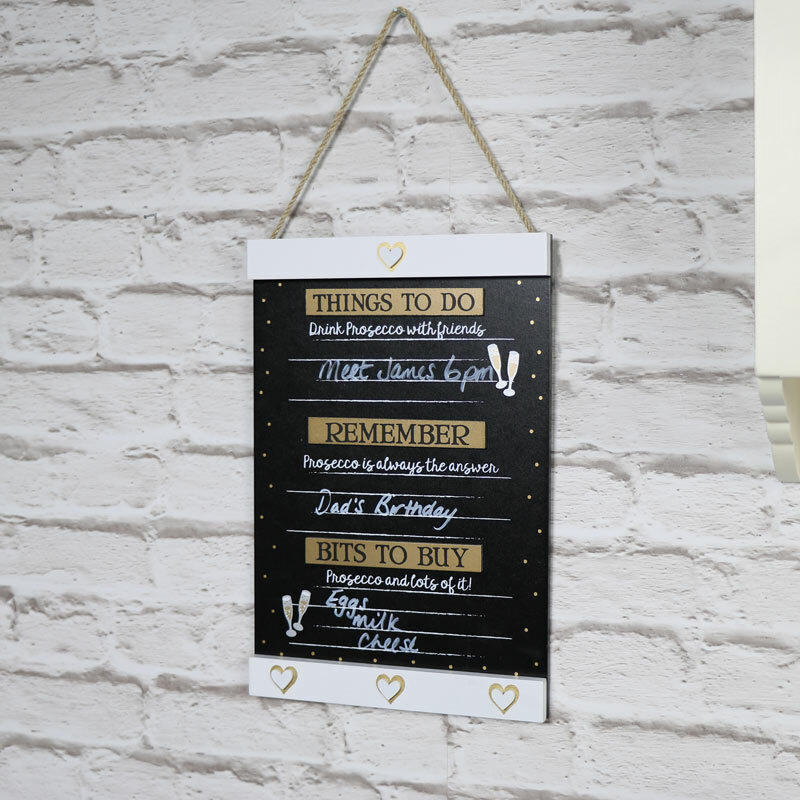 Part of our fantastic range of gifts and accessories, this chalkboard is just one of the many we have available for you to choose from.